We don’t ourselves as Mercedes drivers. Mercedes don’t seem to see Sprinters as Mercedes-quality vehicles either. We don’t want to have the Mercedes bling all over the outside of our van. 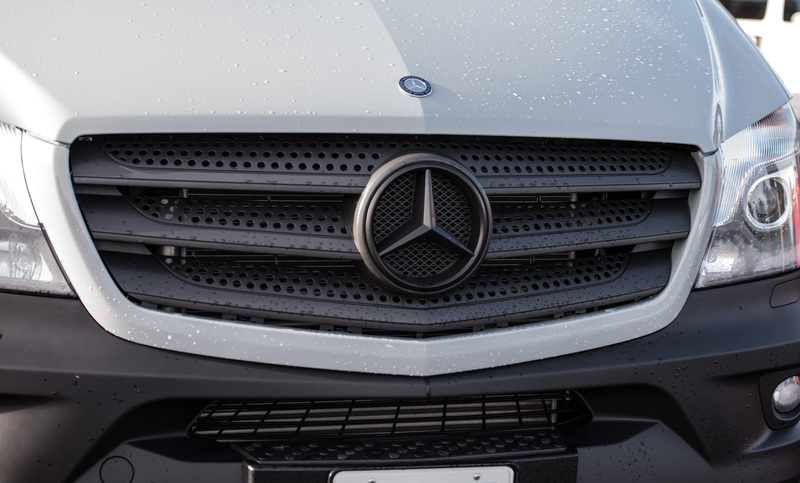 The fit and finish of a Sprinter isn’t up to regular Mercedes standards. Even the dealer network don’t treat Sprinter buyers and owners the same way as they treat Mercedes car owners. So, what if you want to de-emphasize the Mercedes link? You can get extreme and swap out all the badges for Freightliner ones. Freightliner re-badge the Mercedes and sell it under their brand. That costs money though, because it involves swapping out the front grille. Instead, we took the cheap and cheerful route – Plastidip! Plastidip started their business selling a gloopy liquid that you could dip metal tool handles into. When it dried it would give them a layer of grippy stuff. Then came the aerosol cans, and a whole new world of applications opened up. One of the massive advantages of Plastidip over regular paint is that if you apply it properly, you can peel it off whenever you want. There are people who spray their whole cars with Plastidip and then change the color whenever they want to; just peel and start again. It’s a good protective layer and looks interesting too – it can be matte or gloss. There are even a couple of people who have sprayed their whole Sprinter vans with Plastidip. We don’t want to go that far, but spraying the tristar logos on the front and the back of the van with black plastidip makes them blend in a lot better than the stock chrome. This is interesting…so in other countries ive been to mercedes is most well known as a maker of trucks. All over latin america you see beat up mercedes semi trucks travelling the roads. You dont see mercedes luxury cars in these countries. It seems that the mercedes brand means different things in different parts of the world. 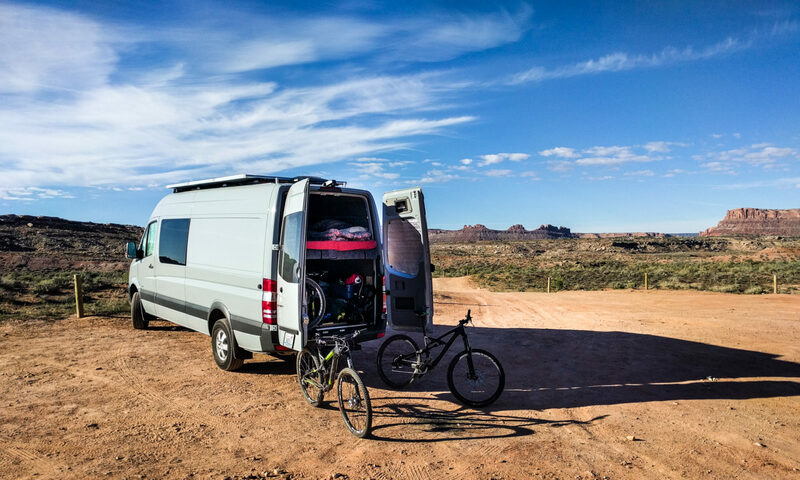 The fact that we dont have mercedes commercial vehicles in the US (other than the sprinter van) is surely a marketing tactic meant to ensure that the mercedes name stands for luxury in the US. I would never buy a mercedes passenger car either (I have better things to spend my money on like my campervan & travelling). Next PostNext Walls are in!